Taking a flight into Jomsom, at 3000m above sea level, has got to be one of the best uplifts of any mountain bike ride in the world and a definite highlight of our trip! You’ll be delivered straight up into the high mountains at the edge of the Tibetan Plateau and we’ll then deliver an exclusive version of the classic trekking route down the Lower Mustang Valley. This not only shows off the culture and the landscape of the Annapurna region but also some of the best singletrack Nepal has to offer! Alongside this we’ll also be riding straight from our doorstep in Nepal’s lakeside adventure capital of Pokhara, using our in depth local trail knowledge to deliver a variety of riding options in the lush Pokhara valley by day and making the most of the comforts of the buzzing traveller hub by night. This is a high altitude biking route that would not be possible in many other places in the world. We love it because the riding is challenging, both in the climbs and the descents, all the while set in scenery that blows your mind! It’s definitely an adventure & one not for the faint hearted! Yet with the new roads, there are route options and time scales that can be tailored to suit a range of abilities and riding styles. Please ask us if you have any questions. Arrive in Kathmandu Airport, welcomed by your group leaders and transferred to the Hotel before you get the chance to explore this ancient and vibrant mountain capital. Transfer to Pokhara by van. Come and play in Pokhara’s back yard! These are the home trails of our local guides & they can put together routes to suit your mood and ability. Maybe an epic day’s cross country ride around the valley (up to 80kms!) or an uplift session on a national DH course in the local hills, we’re in the best position to show you what Pokhara has to offer! An early flight to Jomsom and the start of our big adventure… Followed by a short ride to Kagbeni, taking it easy to acclimatise to altitude and appreciate the awesome mountain scenery. From Eklebati (2800m) we’ll climb up to another summit of around 3200m with superb views across the whole Mustang region. On the way we will pass some beautiful Tibetan villages. We’ll have to push/carry on the last metres of the climb but this effort will make the downhill back to Eklebati and Marpha taste even more sweet! From Marpha we’ll ride down to Larjung along the kali Gandanki river, crossing a temporary seasonal wooden bridge where we’ll pick up some lovely single track. This ride will take us to Larjung where we will have lunch. After lunch we will climb to a small village called Sukung and enjoy a downhill through a pine forest. Today is an amazing day on the mountain bike as we will ride through the deepest Gorge of the world. We also ride through mountain desert, alpine, subtropical to tropical topography and through some very colourful villages. This truely is an epic day. From Tatopani (1190m) to Beni (830m) then drive to Pokhara by private van. The first part of the day is a little bit technical with some steep trails… Afterwards we’ll enjoy a fast jeep track to reach Beni where the van will be waiting for us to take us back to Pokhara. Rest day in Pokhara, check the bike and the body, chill out by the lake or take in the sights and sounds of the city. If you’ve still got the legs we will have some more awesome rides planned for you on our doorstep. 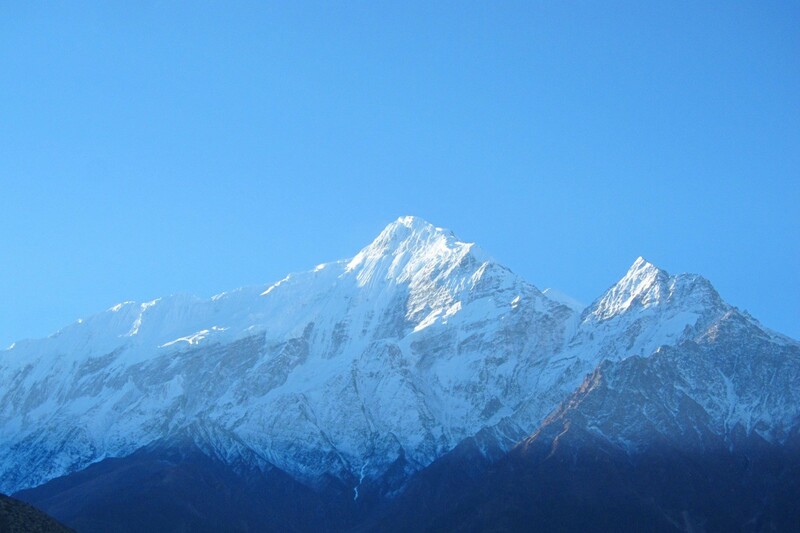 Alternatively, you can continue to take in the sights and sounds of Pokhara. It’s sadly the end of our Joyriders mountain bike holiday in Nepal, but if you are keen to stay on longer we can help you arrange more adventures in Pokhara such as paragliding or white water rafting. Alternatively we can help you arrange further travel in Nepal. Of course if it’s time to head home we can help arrange transport options back to Kathmandu airport. It’s up to you. If you’ve any questions just ask. In the event of unexpected circumstances or bad weather, Joyriders reserve the right to modify the program. Copyright © 2014 joy-riders.com. All Rights Reserved.